Customers can now innovate with hybrid cloud and AWS. In an effort to unify application deployments on-premises and on the cloud, Pure Storage has announced a suite of new cloud offerings that run on Amazon Web Services (AWS). These new products will allow customers to invest in a single storage architecture that works across cloud and on-premise to flexibly turn data into value across their business. Enterprise application mobility, combined with emerging technologies like AI, ML and deep analytics, has increased the strategic importance of infrastructure exponentially. Traditional and emerging applications now demand flexible, location-independent data accessibility and this has certainly had an impact on infrastructure. 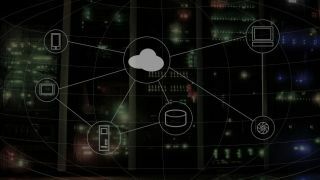 Applications require the ability to move freely between on-premises and the cloud as organisations now need real-time access to any and all data. Pure Storage's Cloud Data Services are a new set of capabilities designed to run Pure Storage software on AWS. Cloud Block Store for AWS is an industrial-strength block storage that runs on AWS that was designed to enable mission-critical applications to run seamlessly in the cloud. The new offering enables hybrid mobility while adding new storage services to webscale applications. CloudSnap for AWS provides customers with cloud-based data protection built right into Pure FlashArray. This service allows FlashArray snapshots to easily be sent to Amazon Simple Storage Service (Amazon S3) to enable cost-effective protection in the cloud along with flexible recovery both on-premises or in the cloud. StorReduce is a cloud-native deduplication technology designed to enable fast, simple, cost-effective cloud backup to AWS S3 storage in conjunction with on-premises flash for fast recovery. Currently Cloud Block Store is in limited public beta with general availability planned for mid-2019, StorReduce is entering limited public beta with general availability planned for the first half of 2019 and CloudSnap is available now for Pure Storage customers.